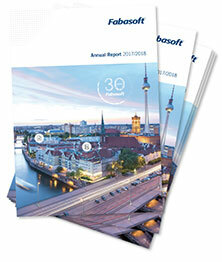 At the annual Fabasoft egovdays in Munich and Vienna, Fabasoft presented innovations, trends and highlights in e-government as well as e-administrative work. More than 270 customers were inspired by the speakers and used the breaks for intensive networking. Dr. Philipp S. Müller, visiting professor at the Danube University Krems, held the opening presentation on “Thinking ahead, looking back, helping shape: Spaces of possibilities in digital transformation”. In his humorous speech he used striking comparisons to give an understanding of “digital transformation” and the possibilities which modern technology can offer in this context. Analysis and the networking of information create new design potentials which, however, need ethical and strategical guidelines in order to keep the balance between what can be done technically and what is acceptable. IT should therefore be established around human beings (humanistic IT) – it should support daily routines and create space for other work. It is up to us to decide how we will design our business models and our administration in the future. Philipp Müller closed his presentation on an appeal: “We must think ahead by way of looking back in order to help shape”. In a presentation titled “Fabasoft eGov Suite 2019 – The future starts now”, Stefan Arnold highlighted the innovations and enhancements which will be introduced this year. The redesign of the user interface has focused in particular on responsiveness and accessibility. All operations within the Fabasoft eGov Suite can now be executed with the keyboard. Enhancements have also been made to reduce complexity: in the future there will only be a single way to carry out an activity, and the workflow will be made up of less processing steps. The new home screen can be customised by making frequently needed information, for example diagrams, readily available. The Fabasoft eGov Suite has been designed to support users proactively and guide them through the software. “Tips” are used to offer related information on matters such as the processing steps of workflows that are rarely used, and to highlight hints or news. These tips may either be textual or include multimedia content. Users can deactivate them from being displayed at any time. Side by side with straight-forward usability and clear-cut user interfaces, being able to work regardless of time and place is essential today. In a live demonstration presented by Markus Schenk (Munich) and Ing. Michael Hettlinger (Vienna), our guests discovered how mobility and efficiency can work together perfectly. The Fabasoft eGov Suite always adapts to the size of the screen – whether it is a smartphone or a tablet – while users have those functions readily available which they need to carry out a particular use case. Another live demo showed how the Fabasoft eGov Suite can support daily work with the help of artificial intelligence methods. Pattern recognition, i.e. the analysis of document content, enables the automatic recognition of information such as metadata, which can then be taken over directly into the Fabasoft eGov Suite. As a consequence, this data no longer needs to be entered manually. Instead, the users check the data and amend it if necessary. Thanks to machine learning, the Fabasoft eGov Suite continually learns, for example enabling it to automatically assign documents to the correct file or to start a workflow. Pattern recognition and automatic assignment are enabled by Mindbreeze Inspire. The longer the system is used the more it will learn. However, final authority remains with the human user who checks the suggestions made by the system. At the Vienna Fabasoft egovday taking place on January 25, 2019, Mag. Dieter Kandlhofer, Secretary General at the Federal Chancellery, talked about “The new ELAK as an important part in the modernisation of Austria’s administration”. He gave an overview of the current status and the activities planned in connection with the digitisation strategy of the federal administration. In the area of IT consolidation, the focus lies on simplification and reduction in order to increase effectiveness and efficiency. Licenses for the Fabasoft eGov Suite are for example only obtained in the form of federal licenses. There are also plans to consolidate all existing software solutions for the various use cases and roll out the one solution that is best suited for a particular use case to all users. A newly created clearing body is handling the operative implementation of these plans. The Federal Chancellery aims at providing a slim set of functionalities which corresponds to the demands of modern administration. This includes “mobile first”, continuous digital processes as well as ELAK interfaces. The upgrade to the new ELAK release is planned for the end of the year 2020. This new version will be based on the Fabasoft eGov Suite and already offers a multitude of interfaces allowing links to specialist applications or online platforms. ELAK plays a major role in the efforts to consolidate IT and implement the digitisation strategy. In his closing keynote “The analogous home as the cradle of the digital world”, Prof. Dipl.-Ing. 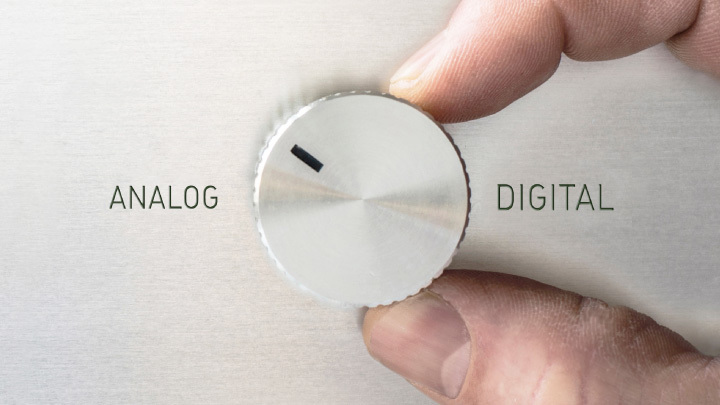 Helmut Fallmann, Fabasoft, explored the challenges of growing digitisation. Modern technologies have an enormous impact on our lives and support us in many activities. Despite all of these benefits it is important to strike a balance between the virtual and the real world to avoid the risk of getting lost as a human being in the digital world. Digitisation nonetheless also has an influence on the actions and efforts of businesses and economic areas which aim at remaining competitive in the global market. In this environment, data protection and security do not constitute obstacles to innovation. They rather belong to the cornerstones which ensure Europe’s competitiveness and protection against data misuse just as much as open standards and certifications do. Data protection and information security belong together and should in the future be verified and certified by external auditors as one. Helmut Fallmann has been dedicated to this objective for many years in various functions on EU level, for example for the working group of a “Candidate European Cloud Security Certification Scheme”, in the decision-making body of the “EU Cloud of Conduct” or for the European Telecommunications Standards Institute (ETSI). In December 2018, on the initiative of Fabasoft, the two EU working groups CSPCert and SWIPO held a conference with top-ranking international experts in Vienna on the topic of “Cyber security and Cloud Computing: How Europe can achieve the ultimate competitive advantage in the digital world market“ where they presented their work progress. If you have any questions on our new product features, please contact us by email!